Sharing a simple outfit of the day! As you know, Florida doesn’t really know what fall is, so although I can wear jeans without dying, I am definitely still dressing cool and light, especially when I’m out and about during the day. 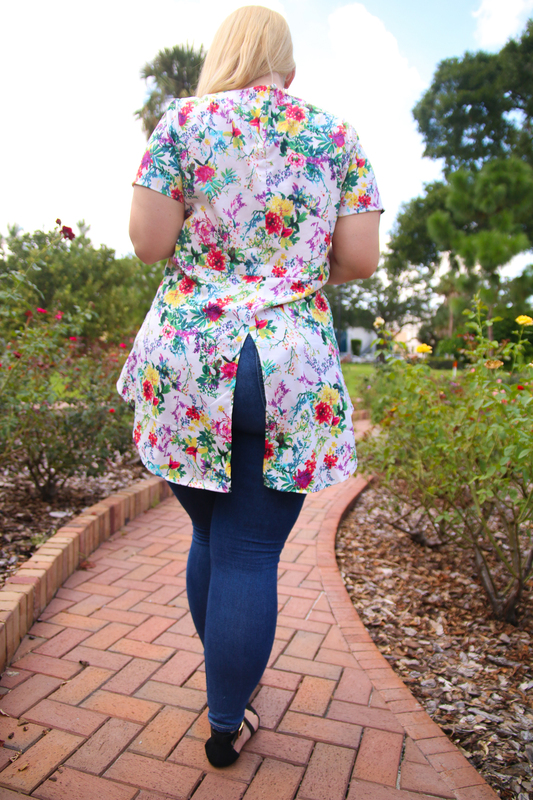 This floral split back top from Simply Be is going to be a great transitional piece, perfect by itself for now, but when it gets colder it’s going to pop even more with darker pants, boots and a moto jacket! 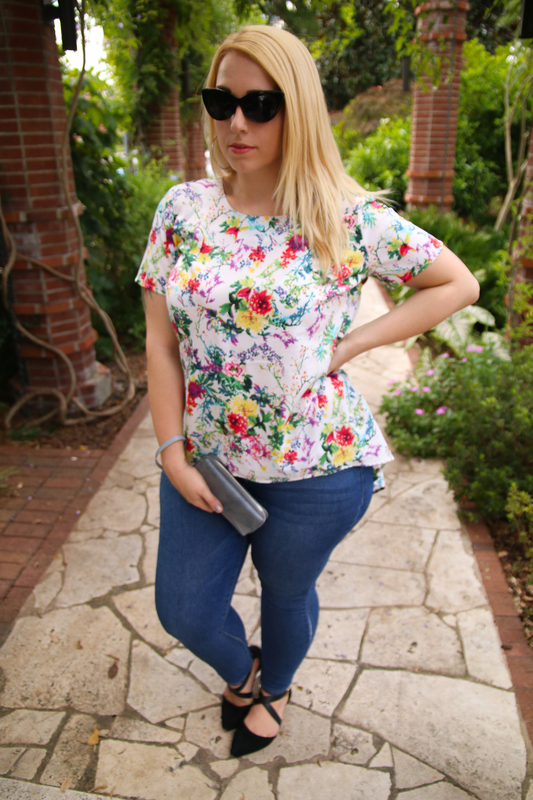 Flats from Simply Be as well & jeans from Old Navy.